We love when our makeup matches our seasonal vibe and smells good enough to eat, which is why we can’t wait until next spring to try out the latest offering from Too Faced. 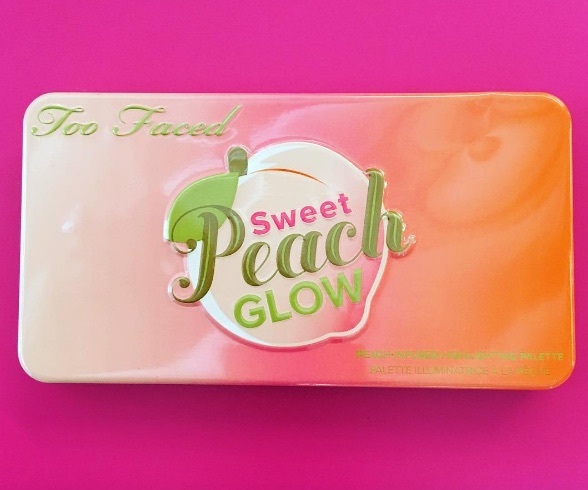 Too Faced founder and Chief Creative Officer Jerrod Blandino shared the company’s latest product on his Instagram account, giving us a sneak peek of a new sweet peach highlighting palette that will be offered in stores this spring. “In a world bathed in far too much darkness I thought today I’d spread a little light, well more of a Glow actually!” he wrote on Instagram. The Sweet Peach Glow Peach-Infused Highlighting Palette will likely be reminiscent of the Sweet Peach Eye Shadow Palette, which retails for $49, as PopSugar noted. Too Faced has a long history of selling cosmetics so incredible smelling that want to nibble on them, including its Chocolate Bar Eyeshadow Palette and the Cocoa Contour. In an additional post, Blandino also shared an upcoming palette that will be launched this holiday season, titled Christmas in New York. Those bold magenta and silver shades? GIMME. We can’t wait to get our hands (and faces) on all of these.